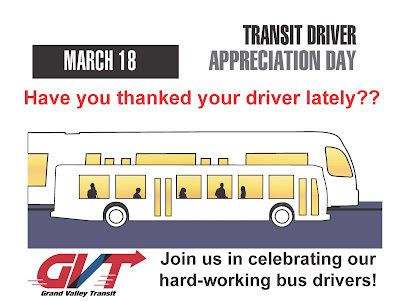 Transit Driver Appreciation Day is Saturday, March 18. 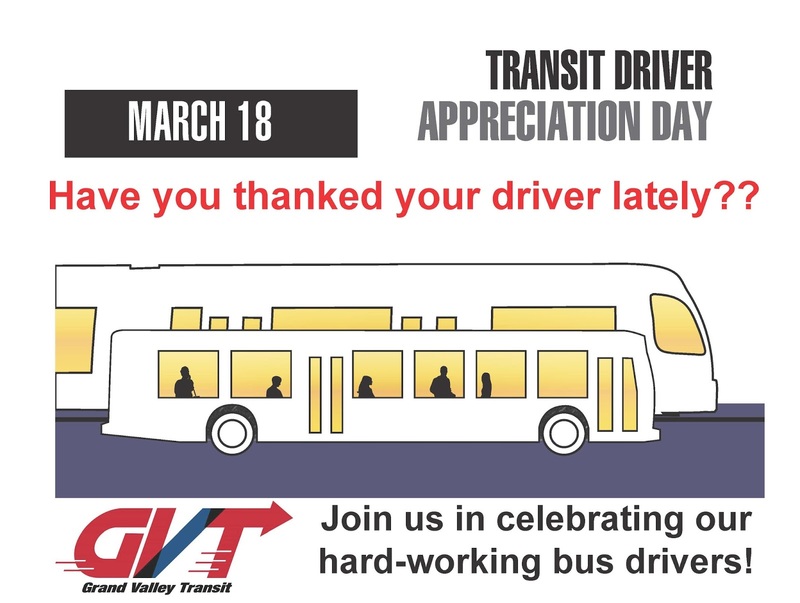 To celebrate, Grand Valley Transit is asking bus riders to thank their driver. For more information, visit gvt.mesacounty.us.